Mercedes-Benz Canada CEO Brian Fulton recently spent a day at an Oakville dealership and found that doing the various jobs connected him with the people there. 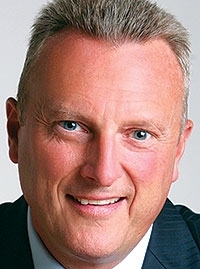 It wasn't exactly “Undercover Boss,” but Mercedes-Benz Canada’s president made sure to include himself in a program that dispatches head office staff to work in dealerships. The voluntary program so far has sent more than 100 people from its Mississauga, Ont., headquarters to shadow employees at 15 corporate and privately owned Mercedes stores in the Toronto area. Mercedes-BenzCanada CEO Brian Fulton said when the program was announced in April. Headquarters staff took on roles such as assistant greeter, lot attendant, follow-up caller for sales and service customers and parts runner. The dealer-visit program gives them “front-line experience,” Fulton told Automotive News Canada. Fulton recently spent a day at Mercedes-Benz Oakville, a privately owned store. “I learned about the important role of a parts runner,” Fulton said, explaining how the job keeps technicians from wasting time shuttling between the parts counter and service bays. Oakville also hosted a head-office customer-relations staffer “who really got a good feel for what we go through on a day-to-day basis,” said Pedersen. The 32-year industry veteran said he can’t recall an automaker operating this kind of formal program. Beyond adding to Mercedes’ staff knowledge of dealer operations, Fulton said the program helps connect them to people who otherwise might only be voices on a phone. Justin Nesbitt, general manager at Victoria Star Motors of Kitchener, Ont., which hosted a head-office staff member in its parts and service department, welcomed the program, noting his post-visit report included a useful idea related to handling service appointments. Fulton said he hopes more of the head office’s 300 employees will go through the program. He would also like employees from regional offices to spend time at their local dealerships and said he’s open to a reciprocal program that would see dealer employees spend time at head office.